After a chance meeting with a musician named Håvard during a waterbike trip along the Norwegian coastline, I was lucky enough to spend a night at his unique island retreat. A few months later Håvard kindly invited me back to start writing a book about my expedition that year. For a month some friends and I enjoyed Winter, Christmas and New Years above the Arctic Circle, and when Håvard suggested he could do with some help running Fordypningsrommet, I offered to find him some hands. 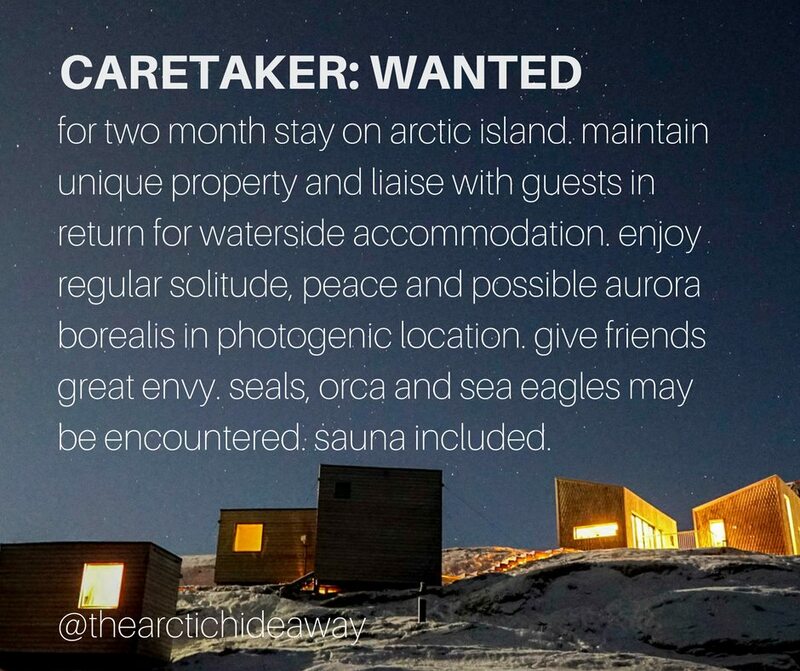 What resulted was a change of name - to the Arctic Hideaway, a new logo and a campaign that went viral to find a caretaker for one of the most special escapes in the world. Almost 1,000,000 people viewed the campaign and enough people applied to ensure a year's-worth of caretakers for the Arctic Hideaway. If you ever fancy treating your loved ones or simply getting away to an out-of-this world location, this is the place for you.